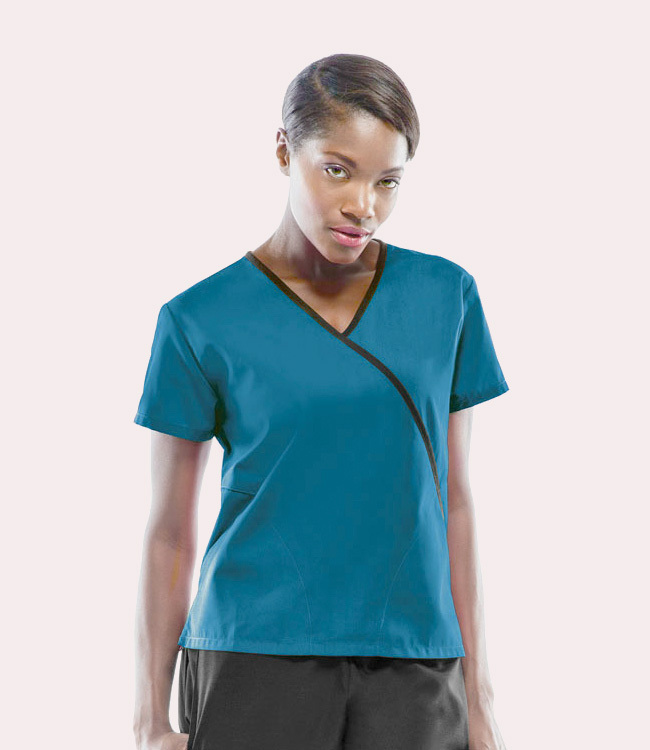 The workwear Mini Mock is the first in the Workwear line to feature contrasting colored trim. These colors accent the main color at the binding around the neck and continuing across the side. This trimly shaped and shortly cut top features hidden side-angled pockets. A young and fresh look to add to your Workwear collection.